Gone to See the World. Semester at Sea Spring 2016 Voyage on the MV World Odyssey. Day 15: Crossing the Pacific Ocean From Hawaii to Japan. Every day the sunrise at sea is different. It was a windy day, and we were traveling into the wind so the aft decks were safe. At the end of the day, after the sun set there were unique blue colors near the horizon caused by the earth’s shadow with pastel pinks above that are called the “Belt of Venus”. I have seen this before while camping in the mountains, but didn’t know the cause. I really wanted to see if I could capture the colors in an image since they are so subtle. Individual images in the slide show are available here. 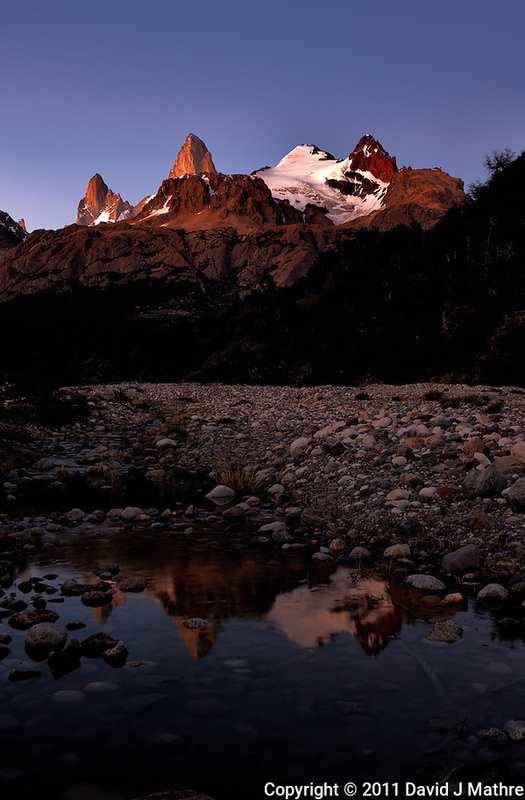 Silhouette of Mount Fitzroy at dusk from Hosteria El Pilar in El Chalten. We had just finished the main dinner course and our hosts were bringing out the dessert. We saw this developing out the window, and all of us ran outside to take some pictures. I only had my point and shoot camera in my pocket and was not going to take the time to go back to my room not knowing how long the colorful display of clouds would last. “The best camera is the one with you”. I like the version that +Thomas Paris took and he made some beautiful prints. Image taken with a Leica D-Lux 5 camera (ISO 80, 19.2 mm, f/5.6, 1/100 sec). 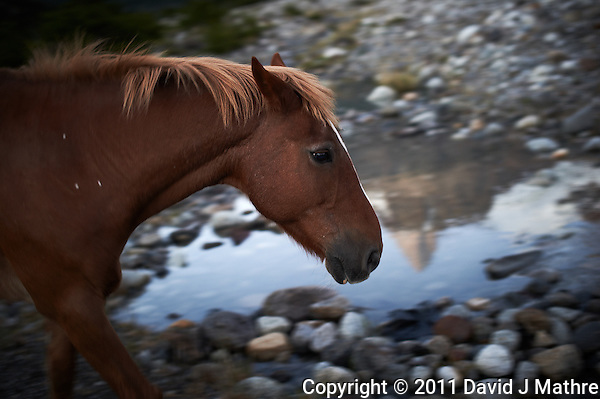 Images from around Hosteria El Pilar near El Chalten in Argentina. 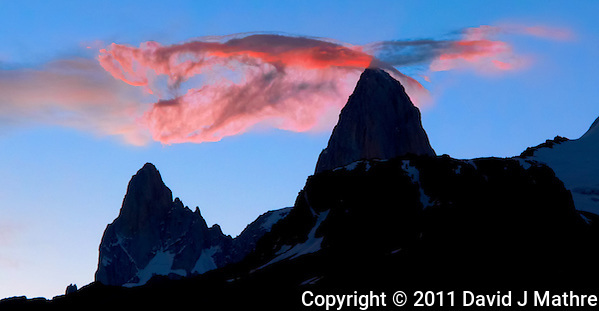 When we saw the orange clouds developing at dusk over Mount Fitzroy we all left our deserts and rushed out of the dining room with whatever camera we had nearby. Some said the cloud looked like a shrimp, a dragon, and a Praying Mantis. I may have wished I had a different camera at the time, but didn’t chance missing the show. The other images include a bee approaching a Pink Lupine flower, a horse and reflection of Mount Fitzroy at dawn, and then several early (02:00 to 03:00) night sky images. This was the first time I saw the Southern Milky Way, and an upside down Orion constellation. We stayed several days at Hosteria El Pilar near El Chaltén in Argentina. 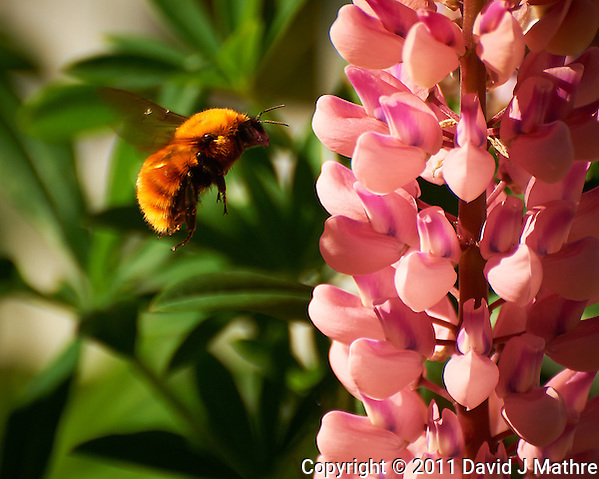 I start with an image of a bee hovering near a pink lupine. 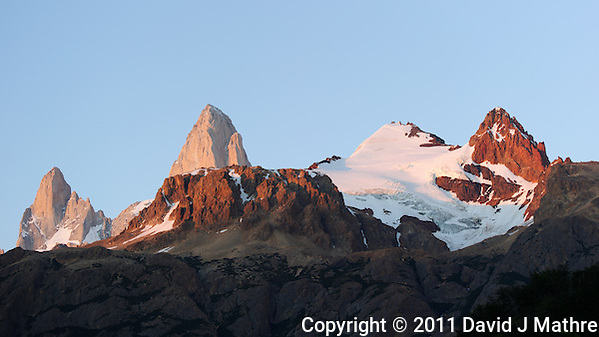 While reviewing other images from the day, I found several of Mount Fitz Roy at dawn and dusk. There were no clouds in the morning, but at sunset a very unique and colorful cloud developed while we were eating dinner. Desert had to wait until the show was over.